There is an amazing opportunity for some citizen science up in the Jonesboro/Cherry Valley area of northeast Arkansas later in October. The event is October 20 and 21. See the flyer below for more details and contact Kari Harris, kharris@astate.edu for more details and to sign up! 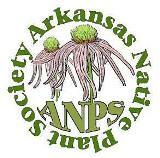 This entry was posted in Community Event, Volunteers and tagged ACBC, Arkansas Center for Biodiversity Collections, bioblitz, jonesboro. Bookmark the permalink.